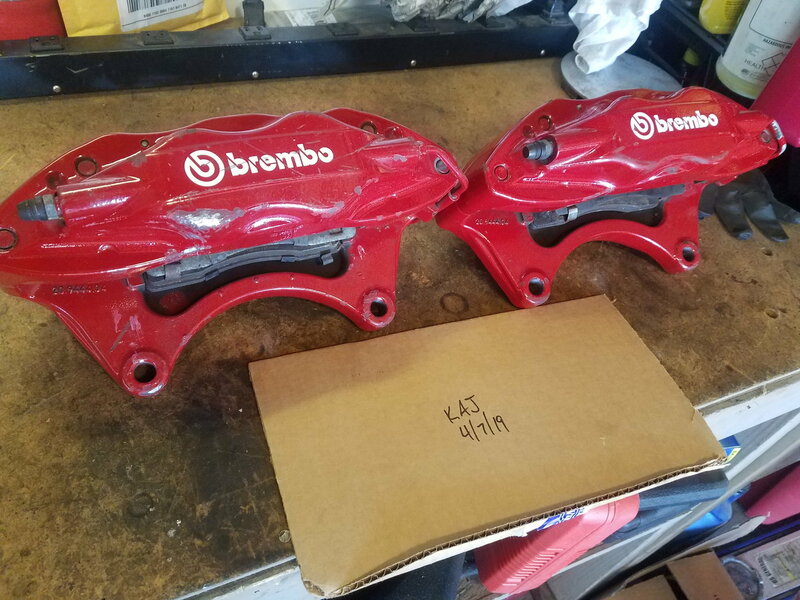 For sale is a set of Evo X front Brembos and Evo X MR two piece rotors. Cheap replacement rings can be found at Mach V.
Was gonna use these myself, but am too cheap to sell my brand new 17" wheels/tires to buy 18s. 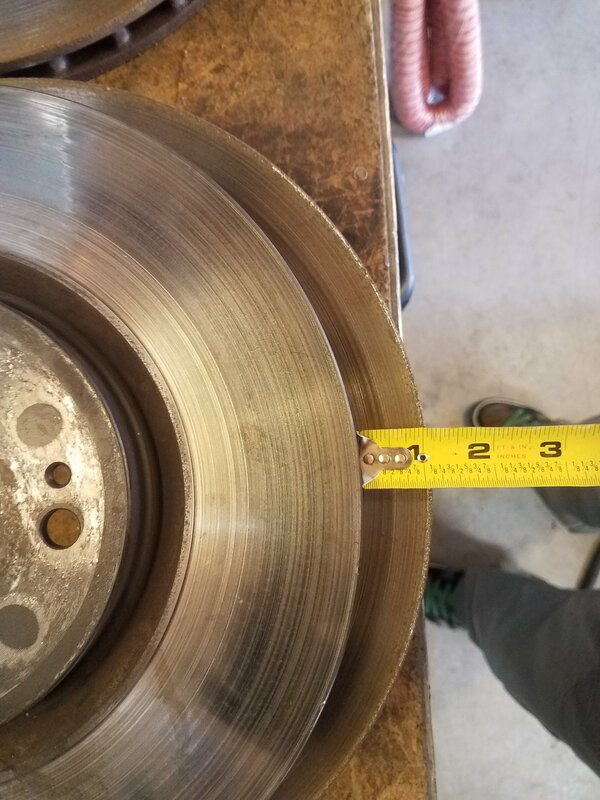 The calipers have a set of OEM pads, clips, and pins. 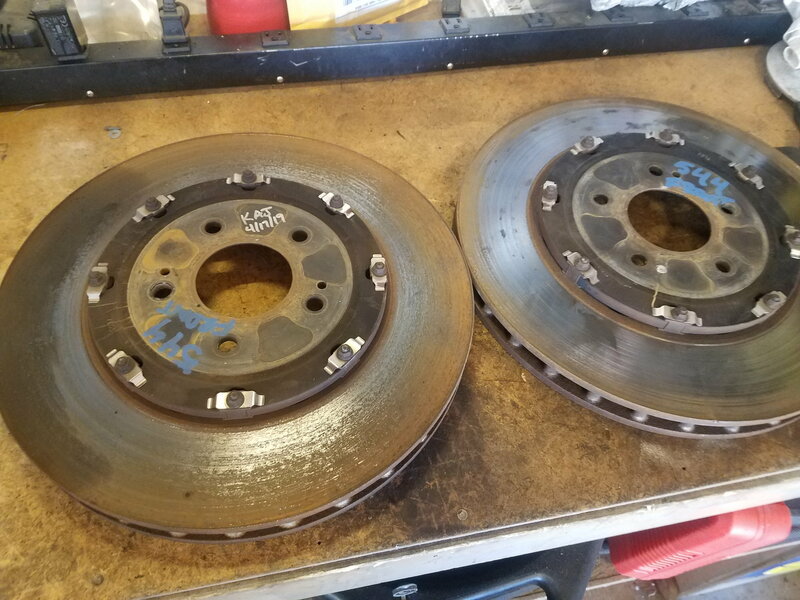 Third pic shows the size difference between the 8/9 rotors and 10. Please include 3% for PayPal fees. I'm 99% sure my prices are competitive. If not, please let me know. Thank you! I think I got them for a reasonable price, so trying to pass it along. I'm not asking a penny more than what I paid.